Any real estate for sale in Breckenridge with Tyra in the name will be located in the meadowlands created by Sawmill Creek, a few miles from Four O’clock Road from downtown. Along this road are several buildings of Tyra condos and a lodge, but beyond these are the duplex, triplex and single-family Tyra homes for sale. All are ski-in and ski-out in a uniquely Tyra kind of way. Tyra, in its various flavors, was one of the first properties built this high on Four O’clock, but today, the other private land has been neatly filled in with several high-end subdivisions, and now, of course, the Snowflake Lift. Tyra active listings shown on this page are for the single-family homes. From the beginning of the Breckenridge ski resort there has been a long ski run that peels off before reaching the bottom of Peak 8 called 4 O’clock. It’s not a run skiers chose unless they’re headed home or down to town, and in the days of slow double-chairlifts that was usually at the end of the day, around 4:00. But nowadays, even a home-cooked lunch is convenient because, not far downhill from Tyra, skiers can cruise onto the Snowflake Lift and get back up to the array of runs on Peaks 8 or 9. It isn’t surprising that some homeowners call this the “Tyra Lift” because it’s so close to the array of Tyra properties. 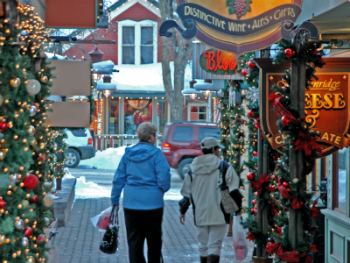 Downtown Breckenridge is downhill from Tyra and only a half-mile away. Luckily, the free town shuttle bus stops near the base of the Snowflake Lift and knocks off most of the walk home to Tyra. Number of Units: 9 duplex/triplex units and 4 single-family homes. 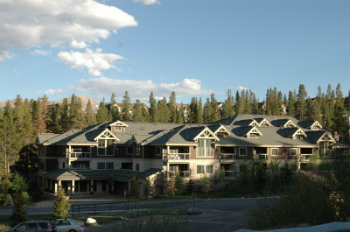 Amenities: On the Four O’clock Run (Ski-in), on Sawmill Creek, ski or walk to Snowflake Lift (Ski-Out), near national forest, in the town of Breckenridge. Bus service to the base of Snowflake Lift. Any Tyra duplex, triplex or single-family home for sale will be located on the quiet end of Four O’clock Road after the S-turn around the several buildings of Tyra condos and lodge. From Park Avenue turn west onto Four O’clock road, and continue about one-half mile, past Tyra Summit, to the homes in Tyra subdivision, which will be on the south (left) side of the road. Do you want more information about Tyra, or any other Breckenridge neighborhood? Don't hesitate to contact us by sending us a message or calling us at (970) 453-2200.